On Saturday, June 6, Goodwin College will hold its 16th Commencement exercises on the grounds of its main campus at One Riverside Drive in East Hartford. The ceremony will celebrate the accomplishments of the students who worked hard to earn their certificates, associate degrees, and bachelor’s degrees. An estimated 440 graduates are expected to walk in the June 6 ceremony. 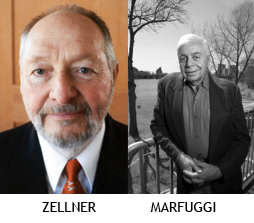 This year’s guest speakers include noted Civil Rights activist Dr. Bob Zellner, as well as longtime leader of Riverfront Recapture, Inc., Joseph R. Marfuggi. Zellner was mentored by Dr. Martin Luther King, helped call attention to Civil Rights issues in the deep south, and is currently walking from North Carolina to Washington, D.C. to help draw attention to healthcare needs of rural communities. Marfuggi worked for the Riverfront Recapture organization for more than 27 years, advocating tirelessly to increase public access to the CT River. The Commencement ceremonies will begin at 10 a.m., and will also include remarks from Goodwin President Mark Scheinberg and valedictorian Lee Housley. This year’s selected student speaker is James Tillman, who is receiving his associate degree in Human Services. 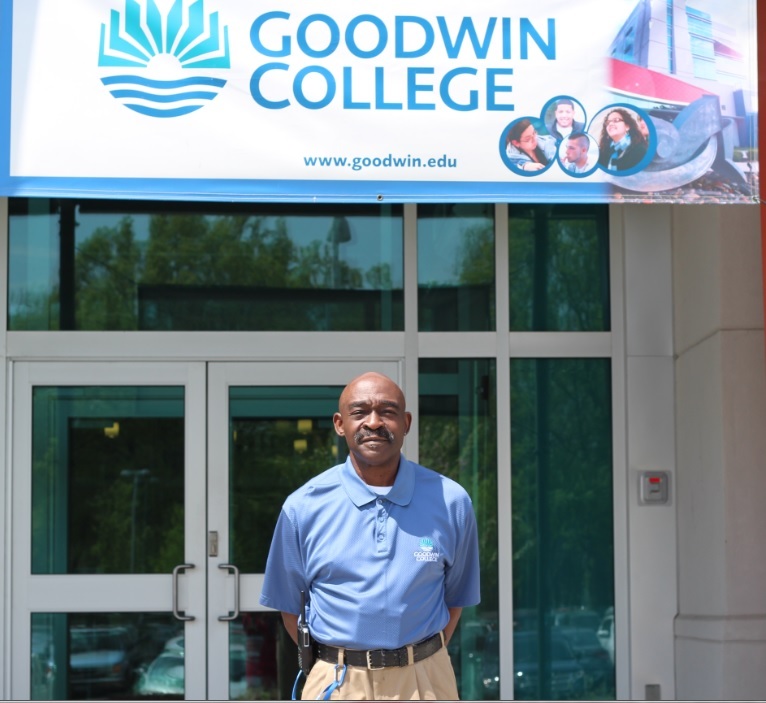 Tillman enrolled at Goodwin after being exonerated of a wrongful conviction for which he spent over 18 years in prison. Tillman recently published his book The Power of Conviction: My Wrongful Conviction, 18 Years in Prison, and the Freedom Earned Through Forgiveness and Faith. Members of the media are invited to attend Commencement and are encouraged to contact Rob Muirhead, Media Relations Coordinator, at 860-913-2033 or rmuirhead@goodwin.edu. Early arrival is suggested; parking is expected to be at full capacity. In addition to the lots at One Riverside Drive, additional parking is available at the Connecticut River Academy (9 Riverside Drive), the Early Childhood Magnet School (29 Willowbrook Road) and the Goodwin College Dental Hygiene and Ophthalmic Science Building (403 Main Street). Shuttle service will be available. Goodwin College had a job opening for a custodian in its Facilities Department. Elliott Reed was in need of full-time employment. The match was perfect, and he is now a familiar community member at the River Campus. And as Reed, 58, ponders his plans for the future, he is keenly aware of the challenges that have brought him to Riverside Drive. Reed had been previously employed as a school bus driver. “I was living with my girlfriend, who developed breast cancer,” he said. “She was in remission, but when the cancer came back, she thought it was best if I didn’t watch.” He moved out, but when his rent was raised to a level he couldn’t afford and he was displaced, he became a resident of Mercy Housing in Hartford, part of a national nonprofit organization working to build a more humane world where poverty is alleviated. Mercy Housing, where Reed is still currently a resident in the Transitional Living Program, had collaborated with Goodwin on a number of social initiatives. “Goodwin’s Human Resource team is in touch with the employment specialist at Mercy Housing and I’m a product of that partnership,” Reed stated. He was hired as a full-time employee and was preparing to join the Facilities Department. Sadly, another challenge was still to come. Only days before he was set to start his new position, Reed’s mother passed away. “My supervisors came to the funeral, and they gave me time off to grieve.” He was appreciative of the empathy and compassion he was shown by the Goodwin community before he even started. Reed intends to take advantage of the educational opportunities for which he is eligible as an employee of the College. Previously, he took courses to become a drug/alcohol rehabilitation counselor and hopes to enroll in the Human Services program at Goodwin. Despite his difficult journey, Reed remains positive and hopeful for his future. Dadona looks back on the amazing story of the school she helped establish with Goodwin College and LEARN. EAST HARTFORD — For Linda Dadona, Director of the Connecticut River Academy (CTRA) at Goodwin College, the past five years have been the most challenging of her 38-year career in education, but the resulting benefits to her scholars have made it all worthwhile. And now Dadona’s career is coming to a bittersweet conclusion as she looks toward retirement. “This has been a very special experience — the hardest job I’ve ever had, but the most rewarding,” she said of the partnership between Goodwin College and LEARN, the regional service educational center under which the Academy operates. The CTRA population comprises students from 43 towns, including 45-50% from Hartford and 12-14% from East Hartford. The school boasts a remarkable balance between African-American, Hispanic, and Reduced Isolation (White, Asian, etc.) students. Sitting in her office in the beautiful, 105,000-square-foot building at 9 Riverside Drive in East Hartford, Dadona recently indulged in a few moments of misty remembrance of her tenure as the head of CTRA. The building itself is less than two years old; Dadona herself was there for the ribbon cutting on January 7, 2014, following three years in modular classrooms on the Goodwin campus. That purpose, she explained, was to create a unique experience within Connecticut’s magnet schools: an environmentally-themed, college-oriented high school. Growing from small classes at 195 Riverside Drive to a $57 million building serving hundreds of students in just five years, Dadona was at the helm of developing the school’s academic programs and setting the tone for its ongoing culture of cooperation and learning values. 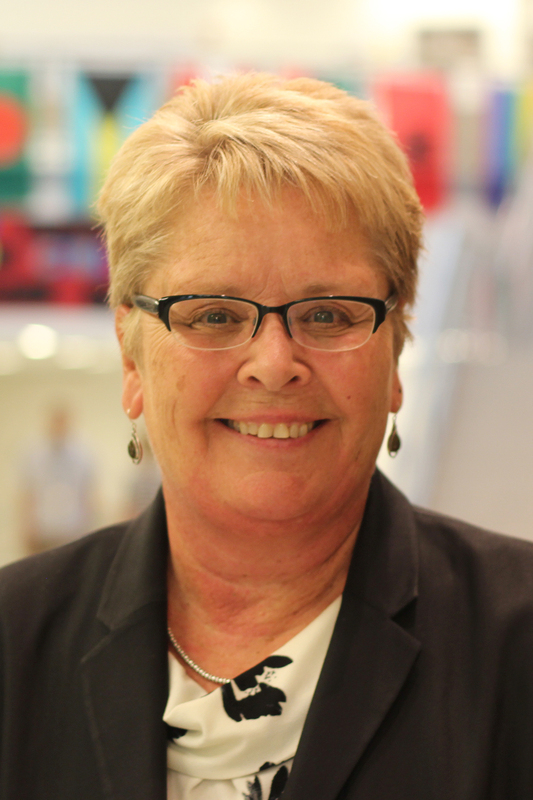 “I was a high school principal working with a college, doing something unheard of,” she said. Dadona was just two years from retirement when the opportunity to begin development of CTRA arose. Undertaking such a massive project meant postponing that retirement, a prospect that initially left her conflicted. But her husband, she said, knew right away that this was an opportunity she couldn’t pass up. “He knew I was invested even before I did,” she said. Alan Kramer, Dean of Magnet Schools at Goodwin College, spoke specifically about the students who are benefitting from Dadona’s work. “Linda has created a unique culture of academic achievement, with 97% of CTRA seniors graduating and 84% going on to higher education — including 15% to Goodwin. She helped develop an early college program that has resulting in 67% of CTRA graduates finishing their high school careers with Goodwin College transcripts in hand. And though her retirement will see her spending time with family at a much slower pace than her years with CTRA, Dadona said a part of her will always remain tied to education. Assistant Director Tara Amatrudo, who has worked closely with Dadona, will assume the role of Director of CTRA on July 1. Of her successor, Dadona had nothing but praise: “I can’t think of anyone better for the school,” she said. Former Assistant Director will replace retiring Director Linda Dadona after the end of the current school year. EAST HARTFORD — Goodwin College and the LEARN Regional Educational Service Center have announced the appointment of Tara Amatrudo as the new Director of the Connecticut River Academy. Amatrudo will assume the position on July 1, following the retirement of current Director Linda Dadona. Amatrudo will be the second individual to hold the position at the environmentally-themed high school, after Dadona helped to launch the school five years ago. “I’m so excited to continue working with such a unique, amazing environment,” Amatrudo said. 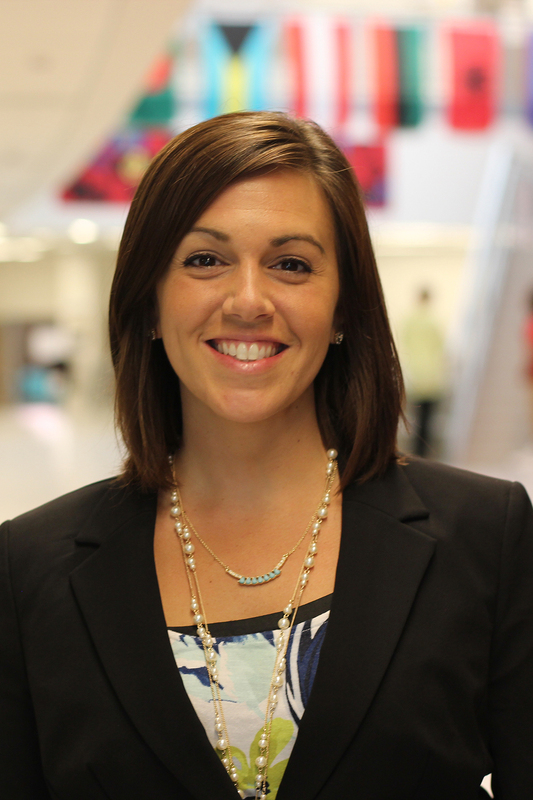 Amatrudo has worked as Assistant Director of CTRA for the past two years, after serving as the school’s Special Education/SRBI Coordinator. She was previously a Special Education teacher, team leader, and program coordinator for the Positive Behavioral Interventions and Supports program at Coginchaug High School in Durham. 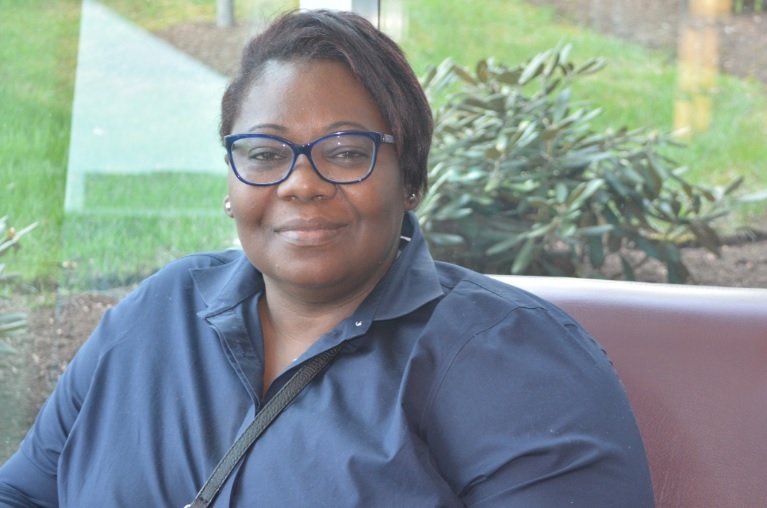 She earned her bachelor’s and master’s degrees in Special Education from Southern Connecticut State University and her sixth year professional diploma from the University of Connecticut’s Administrator Preparation Program. The Connecticut River Academy is an early college magnet high school on Goodwin College’s river campus in East Hartford, operated in cooperation with LEARN. Located beside the historic Connecticut River, the Academy’s environmental studies focus includes river studies; land, water and air quality; plant and animal growth; human ecology; and renewable energy. Of her successor, Dadona had nothing but praise: “I can’t think of anyone better for the school,” she said. Lincoln LeFebvre has been working at Home Depot for nearly a decade. After taking courses at another college but not completing his degree — and being passed up twice for managerial position promotions — he decided to enroll in Goodwin College’s Management and Leadership program. Home Depot started out as “just a job” for LeFebvre, but that changed as he learned more about the values of the company and realized the potential to move up in the organization. 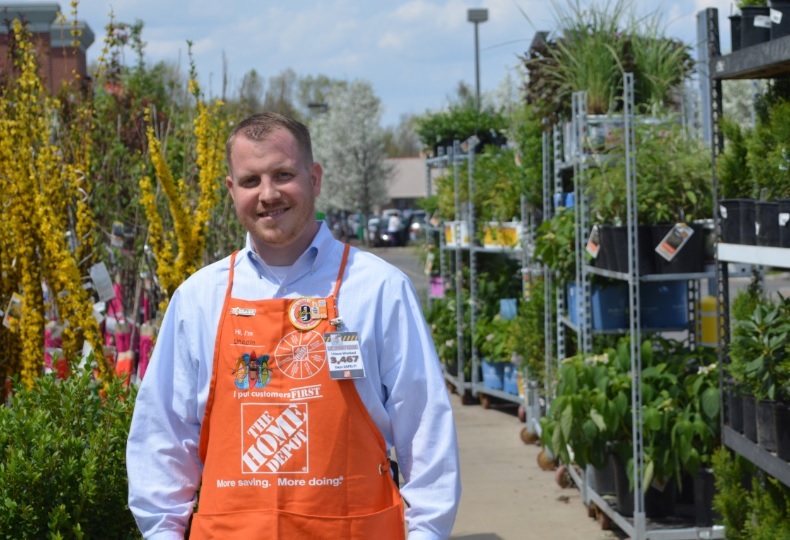 Although LeFebvre began as a part time sales associate for Home Depot, with his degree now in hand he is overseeing nine stores as the district operations manager. By August 2015, he will be overseeing all 115 New England stores as the new territory operations manager. Vickie Southerland, a Management and Leadership graduate, landed a promotion one week after earning her bachelor’s degree from Goodwin. Southerland started out as a customer service representative for CTrides, part of the Department of Transportation, and now works as an outreach coordinator promoting sustainability, carpooling, and telecommuting. After being laid off from two prior positions — one for 11 years in and another for four — Southerland appreciates the stability that Goodwin and her current job have afforded her. “I want to stay stable,” she noted. Goodwin College has announced its summer 2015 Adult Continuing Education (ACE) offerings. The classes — free of charge to seniors 55 and older — are offered in conjunction with the East Hartford South End Senior Center. All courses are presented in two-part sessions at the Goodwin campus, One Riverside Drive, East Hartford and the Senior Center, 70 Canterbury Street, East Hartford. Writing Your Memoir: Part 1 on Friday, June 12, 5 to 7 p.m. at the Senior Center and Part 2 on Saturday, June 13, 9 to 11 a.m. at Goodwin College. 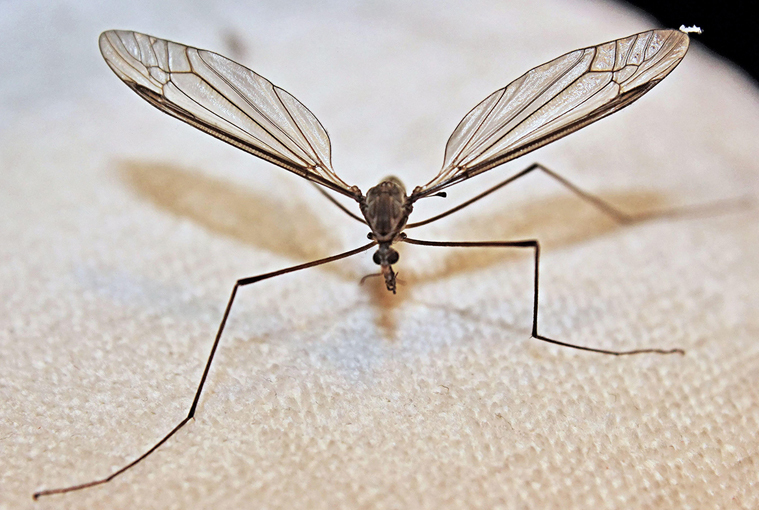 Insects and Disease: Part 1 on Friday, July 10, 5 to 7 p.m. at the Senior Center and Part 2 on Saturday, July 11, 9 to 11 a.m. at Goodwin College. The Tech Savvy Senior: Part 1 on Friday, August 14, 5 to 7 p.m. at the Senior Center and Part 2 on Saturday, August 15, 9 to 11 a.m. at Goodwin College. Interested participants must register for classes by contacting ACE Program Coordinator Claude Mayo at 860-913-2051 or cmayo@goodwin.edu. Download flyer. StartUp Weekend: Education, sponsored by UP Connecticut in Hartford in September 2014, presented a bold premise to its participants: transform your ideas related to education into action; find the right people with the skills and passion to build an education product in one weekend; receive coaching from education designers and industry professionals who will advise you on taking your idea to the next level. And so it was that WeStudee was born. The brainchild of Pi Areepipatkul, Darcie Binder, John Clay, Jr., Alex Garcia, Derrick Karle, Yuya Jeremy Ong, Ye (April) Ji Park, Ashwin Raghavan, Adam Stankiewicz, Duong Vu, and Joel Whipple, WeStudee is an online tool that helps students find study partners among their classmates, matching them on criteria that includes current courses, available study times, and other preferences. Physical, socio-economic, institutional, and psychological barriers that make it hard to find study partners can adversely impact effective peer-to-peer studying. One of WeStudee’s goals is to focus on common factors that bring students together into successful study groups. Over the course of the StartUp Weekend, the WeStudee team members brainstormed and refined their ideas — and placed first in the competition. As luck would have it, Goodwin College president Mark Schienberg was one of the judges and saw a potential fit for WeStudee with Goodwin students. Scheinberg offered the team the opportunity to implement WeStudee at Goodwin College. They solicited input from Goodwin faculty and staff, then worked with them to finalize WeStudee and make it available for students to use at the beginning of the 2015 summer session. On May 12, Goodwin College hosted the Hartford Courant’s Key Issues Forum, CONNECTICUT: Why We Live Here. Following a reception in Goodwin’s Community Room, the audience moved to the auditorium to hear a panel discussion featuring Wally Lamb, author of five New York Times bestselling novels; Rohan Freeman, president and CEO of Freeman Companies, a Hartford engineering firm; and Alissa DeJonge, vice president of research at the Connecticut Economic Research Center. All three panelists are Connecticut residents. Courant editor Andrew Julien moderated the discussion, which included a Q&A session. The forum posed the question “Why do people settle in Connecticut — and stay?” The topics ranged from the state’s many assets — considerable amenities, natural beauty, access to the arts, and superior schools — to its challenges — obstacles to business, inequities in education from town to town, and the high cost of living. When the panelists were asked how they would introduce someone to Connecticut if they only had 24 hours, the replies were included showing them the beauty of the shoreline, visiting museums and cultural centers, and exploring some of the small towns tucked away throughout the state. Lamb offered an example of how Connecticut sometimes misses the mark in capitalizing on business opportunities. His book I Know This Much Is True, which takes place in Connecticut, is slated to be filmed for a television adaptation with Mark Ruffalo. In researching financial encouragements from the state that might be applicable to the project, Lamb discovered that past advantages for film companies had been allowed to lapse; the project is now likely to be moved to another state. Still, the panelists’ comments on life in Connecticut were positive overall, and they agreed that residents have a heritage and character all their own. 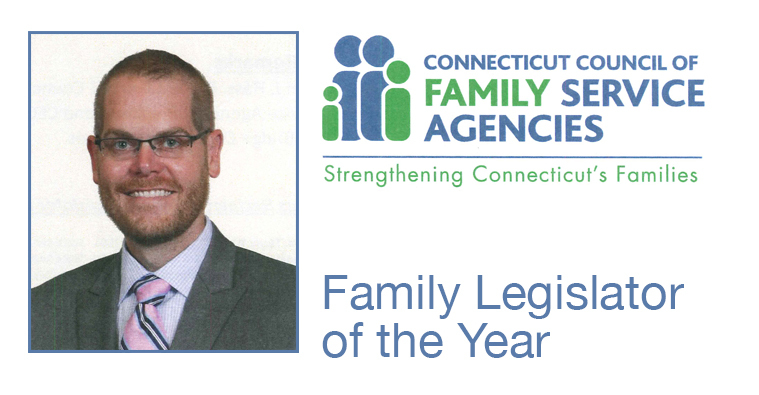 When Julien applied the term “cranky” to Nutmeggers, Lamb countered with “feisty” — and perhaps “skeptical.” DeJonge offered that there is a duality among Connecticut’s citizens: while there is certainly a tendency towards “steady habits” in their DNA, there is at the same time a passion to strive for more and to explore new paths — a spirit, she said, that helped shape the rest of the country. Goodwin is scheduled to host several upcoming Key Issues Forums later this year. Read Hartford Courant article and watch brief video clip.